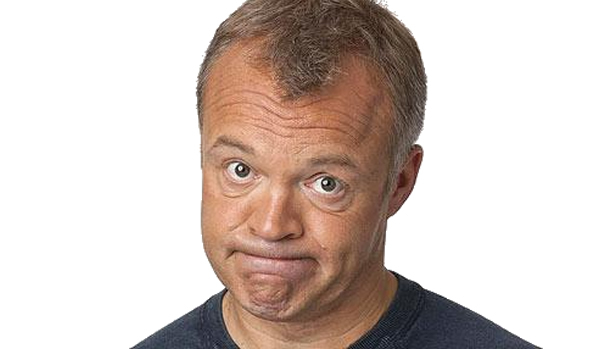 Graham Norton is one of the best known comedy presenters on British television. He began his career playing one man shows at the Edinburgh Festival (1992-97) and touring the UK. His 1997 show was nominated for the Perrier Award, bringing him plenty of attention. Making his move from stage to TV, he went on to host 3 series of “Bring Me The Head of Light Entertainment”, was a regular presenter on Channel 5´s “Jack Docherty Show” and made several appearances as the character Father Noel on Channel 4´s “Father Ted”. On his flagship Channel 4 shows “So Graham Norton” (1998-2002) and V Graham Norton (2002-2003) he teased his guests with the most outrageous and personal questions imaginable, picking up four BAFTAs in the process. In 2004, he joined the BBC bringing with him his own brand of humour. He also successfully transferred his show to American audiences when he hosted The Graham Norton Effect for Comedy Central. More recently, Graham Norton has fronted Strictly Dance Fever and, in Summer 2006, he presented the nationwide search for the next musical theatre star in How Do You Solve A Problem Like Maria? Graham´s popularity has earned him international acclaim and many awards, ranging from Best Newcomer Award at the British Comedy Awards in 1997, through to Best Talk Show at the National Television Awards in 2002 and his BAFTAs the following year.